Get an estimate on the cost of your homeowners insurance. Using our local knowledge and insurance expertise, we have helped many homeowners obtain a full range of high-quality insurance products exclusively designed and competitively priced to meet their unique needs. We’ve put you in control of your insurance purchase. That means you can pick from a range of coverage options, limits and deductibles that best suit your needs. Play around with the various choices and buy the policy that works for you. The first step in the process is to identify the type of property you wish to insure. Do you live in a detached home or perhaps a condo? Or maybe you’re looking to insure your rented dwelling. We will customize your quote based on the information you provide. "In order for us to provide you with an accurate quote, please select the right type of your property that best describes the place you wish to insure. If you live in a detached home and use it as your primary residence, please select Homeowners." 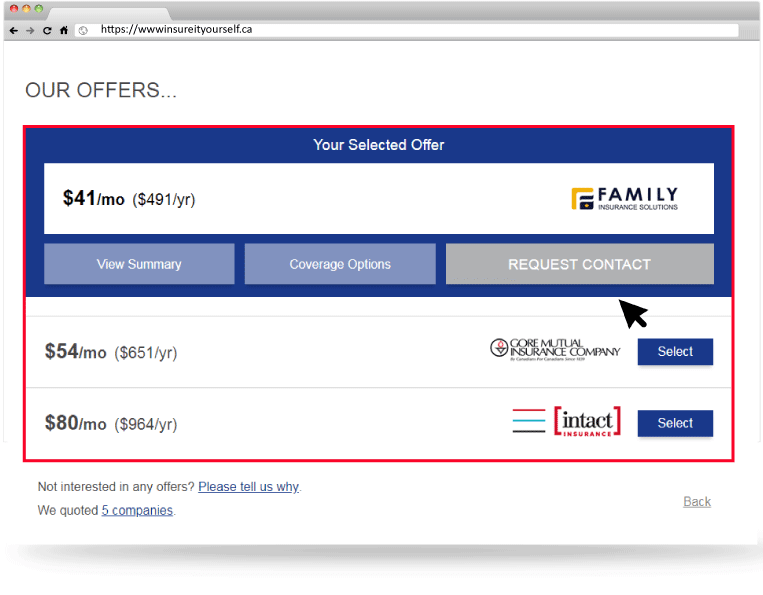 We have partnered with Canada’s leading insurance companies to offer top-notch products for our homeowner customers. 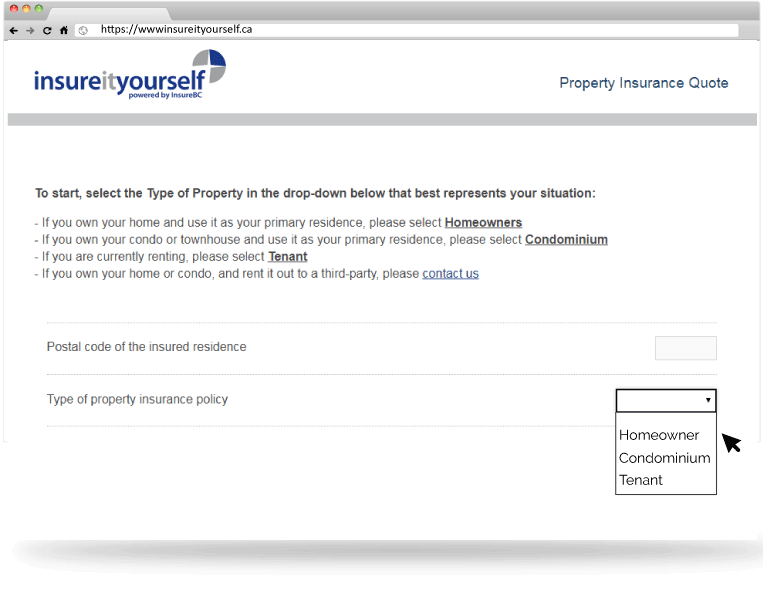 As a result, we are able to offer competitive quotes for all types of home insurance in BC. Since every insurance company is different, we’re here to assist by connecting you with the one that meets your requirements. Once you have obtained your online quote, we will take it from there. We review your information and contact various insurers on your behalf to get a finalized quote for you. This means we do our best to find any additional discounts you may qualify for and finalize any outstanding items. 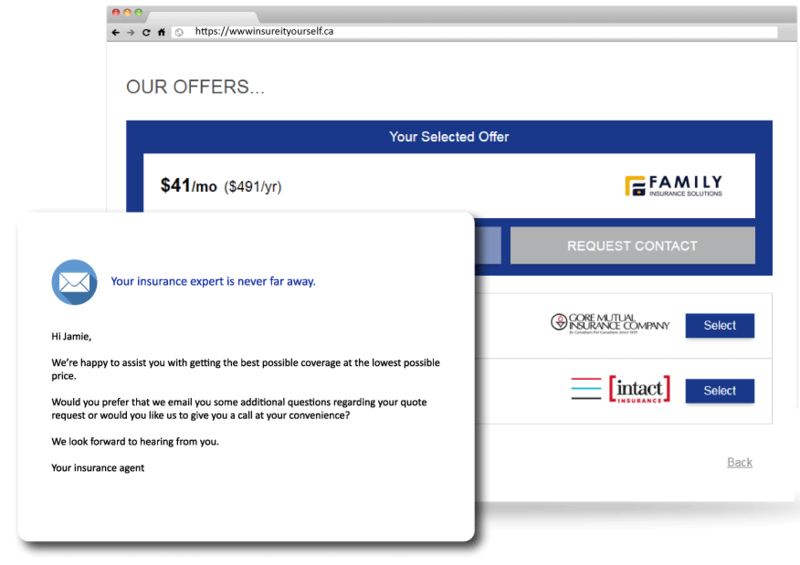 Once verified, we’ll walk you through your policy via email or over the phone.